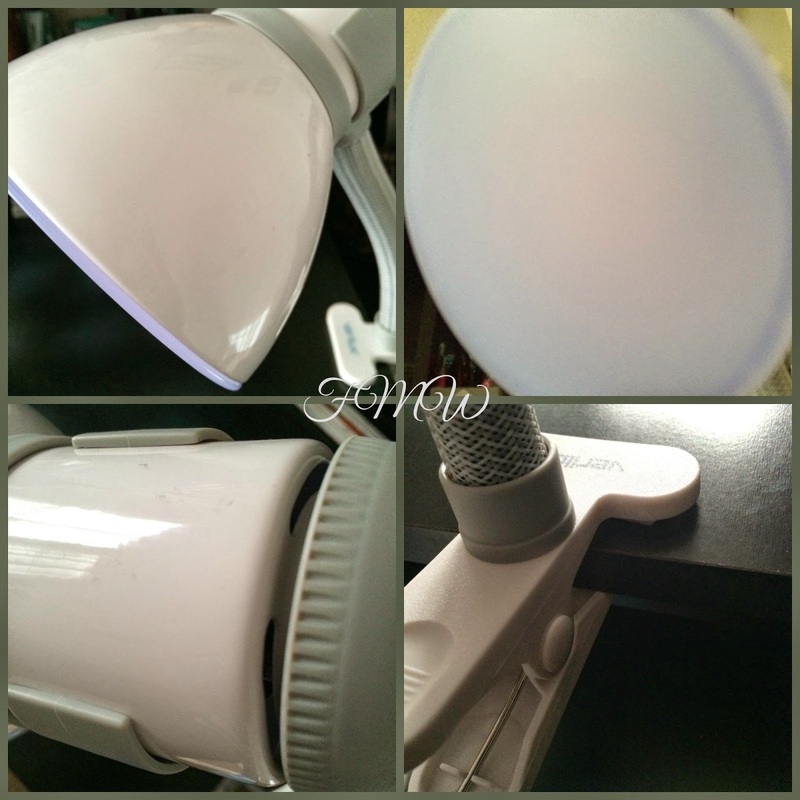 Frugal Mom and Wife: SmartLight Natural Spectrum Clip Lamp Review! 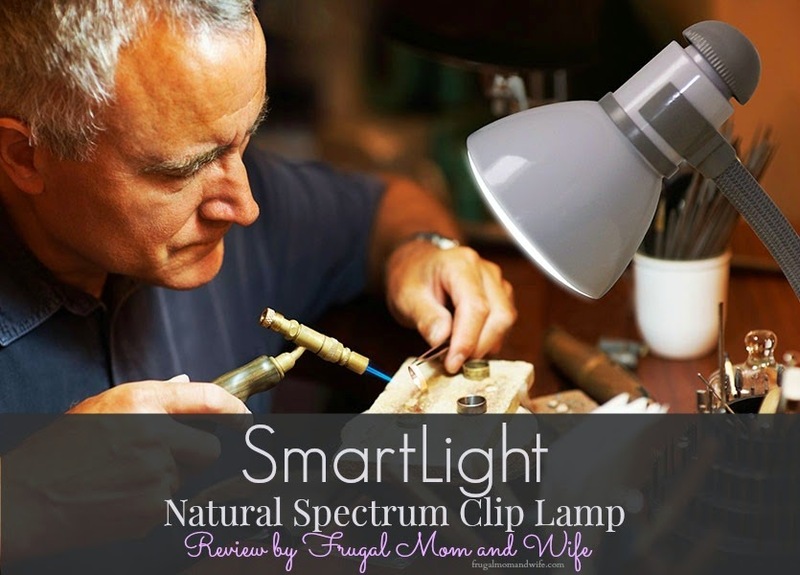 SmartLight Natural Spectrum Clip Lamp Review! When you need to see really well close up extra light is most beneficial. Whether you need it to read or help spotlight your work space the last thing you need is for it to be blinding. 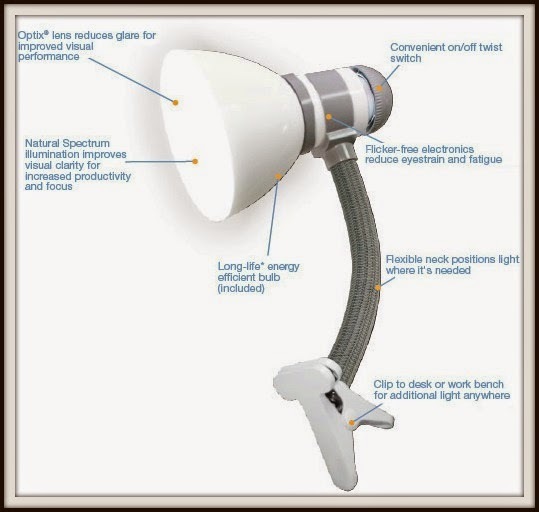 When using a lamp the bulbs can cause unwanted glare or other interference. Don't get me started about the inconvenience if you look directly into one. Being able to move your light to the most optimum places is most ideal. You can call me a bookworm I don't mind. The SmartLight Natural Spectrum Clip Lamp is perfect for me. I clip it to a surface near where I am reading and adjust the neck to get closer. What makes this clip light stand out above the rest are big and much need features. The anti-glare natural light the SmartLight produces is outstanding. No glare or blinding light, just pure light. It's sort of like looking at the moon in a way... It's bright but doesn't blind you to look at, the same goes for the SmartLight. The bulb used in this lamp really does provide great clarity while reading. My husband just loves using it to provide the clear bright light he needs while working on his guitars. The clip doesn't damage the surfaces it's clipped to. If you are looking for a great movable reading or work light, SmartLight is the way to go. This innovative design is sure to help your eyes see at their clearest.